Looking for an exciting new mod? Then youï¾’re going to fall in love with the new Mag Mod Kit by SMOK! Youï¾’re getting the functionality of the awesome Majesty Box Mod, combined with a massive 225 watts of power. Along with this, youï¾’ll also get three different operating modes. The Mag Mod has moved away from SMOKï¾’s traditional styling and gone with a modern style unlike any of their previous mods. The Mag Mod, like its name suggests, has a certain ï¾‘gunï¾’ aspect to its design and functionality. The firing button looks like the trigger of a pistol. Another cool design feature of the Mag Mod is its battery compartment. The battery department is easily accessed via the bottom of the Mag Mod and makes a cool gun-cocking sound when you open it! The Mag Mod by SMOK is paired with the huge TFV12 Prince Tank. 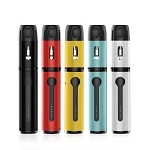 Featuring the classic features and design aspect of SMOKs with some small improvements. They have added three new coil types which will allow vapers to find their favorite vaping sweet spots. They have added the Prince Q4, X6, and T10 Coils. Each works well in the 40-120-watt range. Beautiful vapor clouds in the mid-watt range. 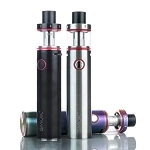 Please note the Mag 225W Kit requires two 18650 cells that do not come with the device. If you need to purchase these items you can include them with your order by selecting the Add Two 18650 Batteries option above, if you any questions about these products please contact our customer service line during normal business hours for assistance. Great mod. LITTLE ON THE HEAVY SIDE. I would by this again! I upgraded from a Smok Alien mod and I’m so glad I did. This mod is amazing. Big clouds big flavor smooth hits. Feels great holding. Love the trigger on it and the battery compartment dropping out the bottom. I ended up buying 2 one for me and one for my wife. Plus my order came next day for free. Will be back to order from Next Day Vapes again!!! I'd never vaped before, this came with everything I needed. Get the batteries and charger too!